Take your van out and explore the country (photo: Elise Cook). If you think the ideals of the hippie era have been replaced by the consumerism of the 21st century, think again. Australians are escaping the nine-to-five and joining the #vanlife bandwagon. But what is the #vanlife movement and should you be a part of it? Jennifer Ennion finds out. 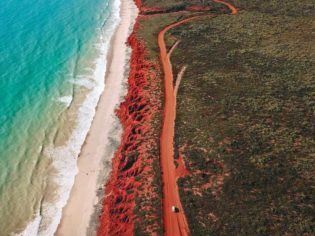 The old-fashioned Aussie road trip is going through a transformation thanks to a cultural phenomenon sweeping the United States. Vanlife is infiltrating our shores and attracting a diverse following Down Under. Elise Cook, 27, and her husband, Domenic Palumbo, 29, have spent the past eight months travelling Australia in their 1972 Volkswagen Westfalia. They’re not backpackers, but entrepreneurs, running their boutique company, Down the Rabbit Hole Wines, from the van. Amber and Keenan Badger are a married couple in their early 40s who are part-time ‘vanlifers’, travelling in a Kombi with their two daughters. Like Cook, they’re working to fund a more simplistic, adventurous lifestyle. Michael Brunell also doesn’t fit the road-tripper stereotype. He may be travelling solo, but he’s in his mid-30s and is a flight dispatcher, taking breaks in shift work to hit the road. These travellers share a passion to downscale and explore, and that is what #vanlife is about. Although people have been living out of their home-on-wheels since the hippie trail heyday, when Europeans travelled overland to south Asia, vanlife is different. It has a bohemian appeal but is more than a movement for hippies and hipsters. It started in the US not long after Instagram was launched in 2010, when Foster Huntington – who had given up his job and apartment in New York to move into a 1987 VW Syncro – began uploading photos and tagging them with the phrase #vanlife. The hashtag, which promoted an enviable, nomadic lifestyle, caught on and today more than two million posts have been tagged with it. Booming in North America, vanlife is still in its infancy in Australia. 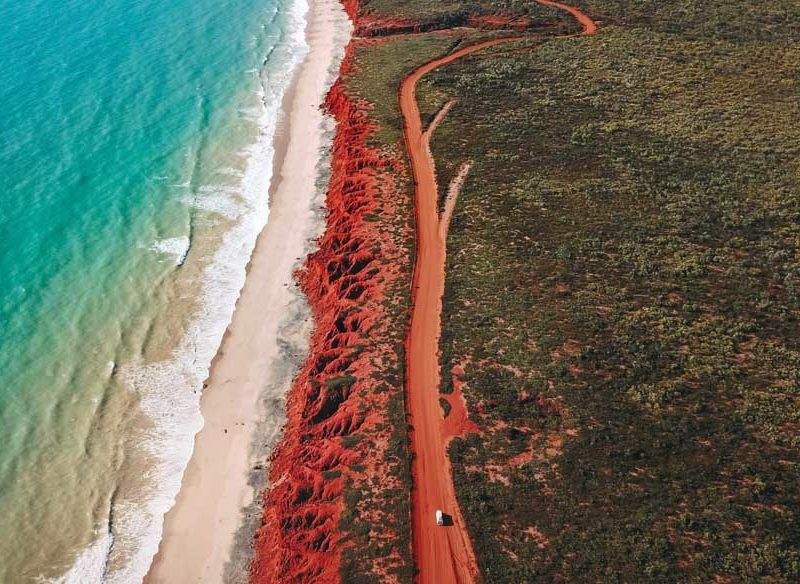 The old-fashioned Aussie road trip has been reborn (photo: Elise Cook). Brunell, whose vehicle of choice is a 2009 VW Crafter, has noticed that van travel is no longer the domain of European backpackers travelling between Perth and Sydney, but more Australians are becoming vanlifers, and we’re taking a glamping approach. It was six years ago that the Badgers unwittingly became vanlifers. The NSW-based couple had a regular van for weekends away but swapped it for a Kombi two years ago and began taking longer holidays. They’re currently on the road in Western Australia with their daughters Coco, 12, and Indigo, 10. As a self-employed leather worker, Badger can be flexible with her working hours, while her husband uses his long-service leave from his job as an electrician to travel. For them, vanlife is about slow travel and downscaling. #vanlife is for all members of the family (photo: Amber Badger). “It really strips us back to the core values,” Badger says. “We drive slow. We’re sitting on 80 kilometres an hour. Everyone’s passing us by,” she laughs. Vanlife has a similar appeal for South Australians Cook and Palumbo, who purchased their VW for weekend jaunts. Their trips also grew longer and the pair eventually moved into the van full-time. They’re now embedded in the vanlife community. “You sit around with people who are trying to live a little more consciously, people who are interested in really living this life we’ve been given, and you have the most incredible, life-changing conversations,” Cook says. Nostalgia plays a part in the attraction for Brunell, who recalls childhood caravanning holidays. Doing the “van thing”, he says, is an extension of that. But he also wants to save on rent, as he already has a mortgage – and there’s the freedom. “I look at people working nine to five, catching the same train every day and it just drives me insane,” Brunell says.